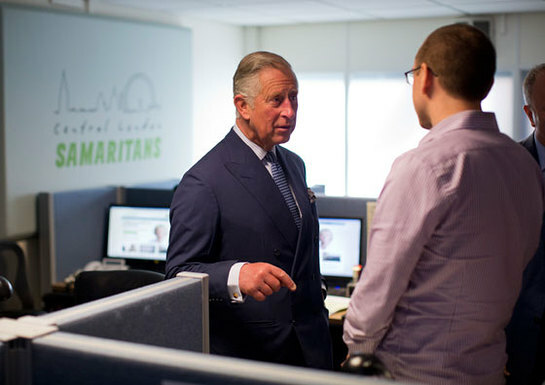 The Prince of Wales praised the “invaluable work” of the Samaritans during a visit to the charity’s central office in London to mark its 60th anniversary last week. His Royal Highness, who has been a Patron of the charity since 1999, spoke with volunteers and staff at the office in Soho, London. The Prince looked in on the helpline’s operations room and chatted with volunteer Shemadene Edwards, 39, who has been with the Samaritans for five years. She told His Royal Highness how she often works night shifts, leaving the call room at 3am and sleeping in the Soho office before travelling to work at American Express in Victoria for 9am. The visit came after The Prince’s reception at Clarence House for other supporters of the charity, where guests included Stephen Fry and Joanna Lumley. The central operations room was originally based in the City of London, where the Samaritans took their first call on 2nd November 1953. 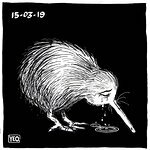 Since then, despite a change in location, the office has answered telephone calls, emails and texts around the clock, with almost 500 volunteers answering more than 100,000 calls for help each year. The charity’s aim is to reduce the number of people committing suicide in the UK, which stood at 6,045 in 2011. Felicity Varah Harding, the daughter of the charity’s founder, said during the visit that 60 years ago her father was “inspired to link technology with compassion”. Samaritans, the world’s first 24 hour helpline, has grown from Dr Varah and his telephone to 20,665 volunteers in 201 branches across the UK.